Marking the culmination of a three-year process, in April 2013 a 26-state consortium released the Next Generation Science Standards (NGSS), a detailed description of the key scientific ideas and practices that students should learn as they progress from kindergarten through high school. For more information on how the standards were developed and are being implemented, visit the Next Generation Science Standards website. 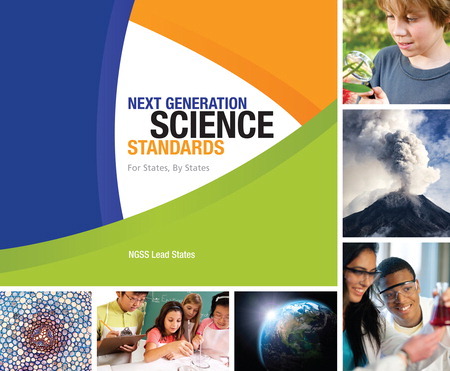 Next Generation Science Standards: For States by States, published by the National Academy Press, is the authoritative print version of the standards. The standards can also be viewed and downloaded for free online. The standards are based largely on the 2011 report A Framework for K-12 Education: Practices, Crosscutting Concepts, and Core Ideas. The National Research Council released a statement affirming that the standards are consistent with the framework's content and structure.